TEAMGROUP's T-FORCE XCALIBUR RGB & T-FORCE NIGHT HAWK RGB Gaming Luminous Memory Have Won the 2019 German RED DOT Design Award. The world’s leading memory brand, TEAMGROUP is praised by numerous globally well-known product design awards. 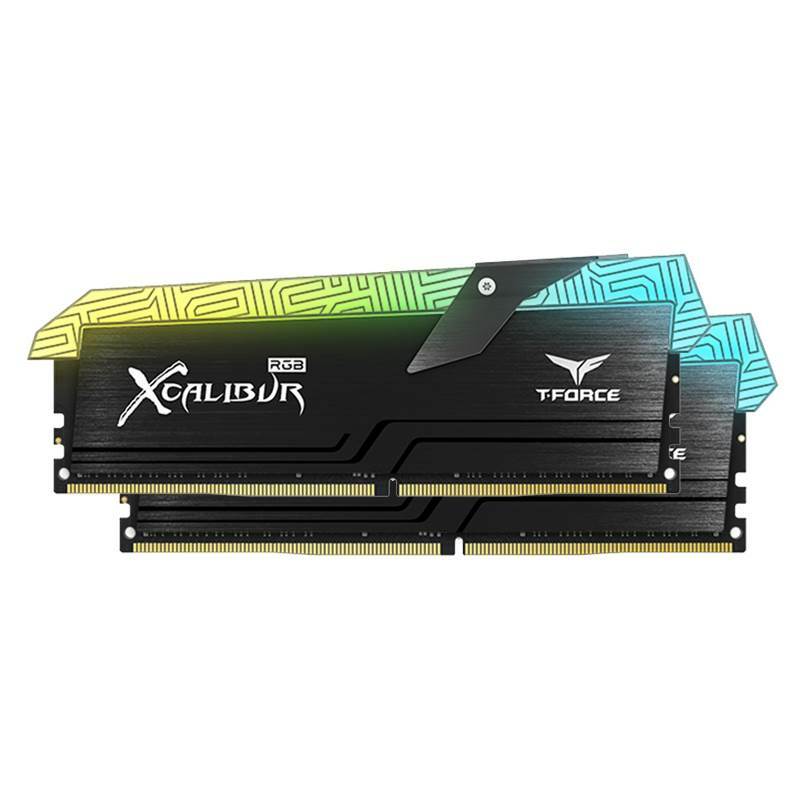 After T-FORCE XCALIBUR RGB gaming memory won the 2019 German IF Design Award recently, TEAMGROUP's T-FORCE XCALIBUR and NIGHT HAWK LEGEND RGB Memory shined on the global stage once again with their outstanding design. Upon their first entry, they won the RED DOT Design Award, adding to the long list of award-winning gaming products from T-FORCE. The German RED DOT Design Award is one of the world’s largest and most influential design competitions. It was founded in 1955 by the famous German design association, Design Zentrum Nordrhein Westfalen. The competition judges entries based on product design, communication design and design concept. Forty top international experts are gathered to be the jury of this award. This year, the 2019 German RED DOT Design Award has attracted more than 5500 products from 55 countries around the world. Out of many participating products, T-FORCE XCALIBUR RGB and NIGHT HAWK RGB have won the award with an overwhelming victory. Winning both 2019 German RED DOT Design Award and iF Design Award, the T-FORCE XCALIBUR RGB gaming memory combines the design concept of the 120° ultra-wide-angle force flow effect and unique totem element to create all-new visual effects. The full range luminous area that covers the memory and the asymmetric light guide is incredibly eye-catching. It provides extreme performance and excellent overclocking capabilities. 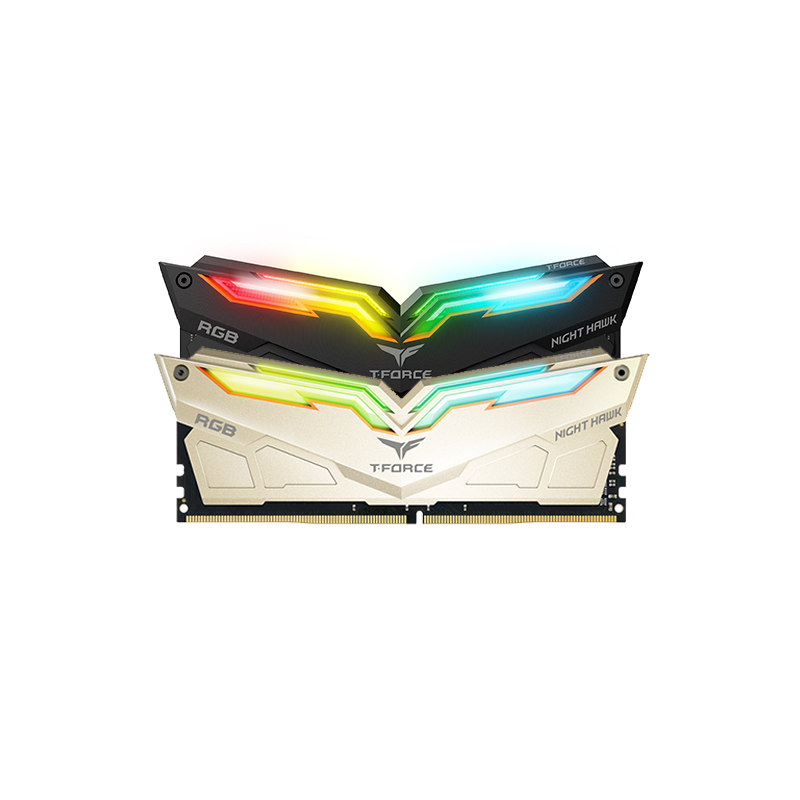 The T-FORCE NIGHT HAWK RGB has previously won multiple international design awards. The RGB lighting effect shines brightly like sharp hawkeyes and is ready to dominate the world of gaming. After winning last year’s German iF Design Award, this outstanding product once again won the RED DOT Design Award today. By winning international awards through intense competition, The T-FORCE gaming luminous memory once again proves that the effort TEAMGROUP puts into pursuing absolute high-quality design and high-performance is recognised by global experts and consumers. With T-FORCE’s strength in gaming, they will continue to launch exceptional products that stun the world.